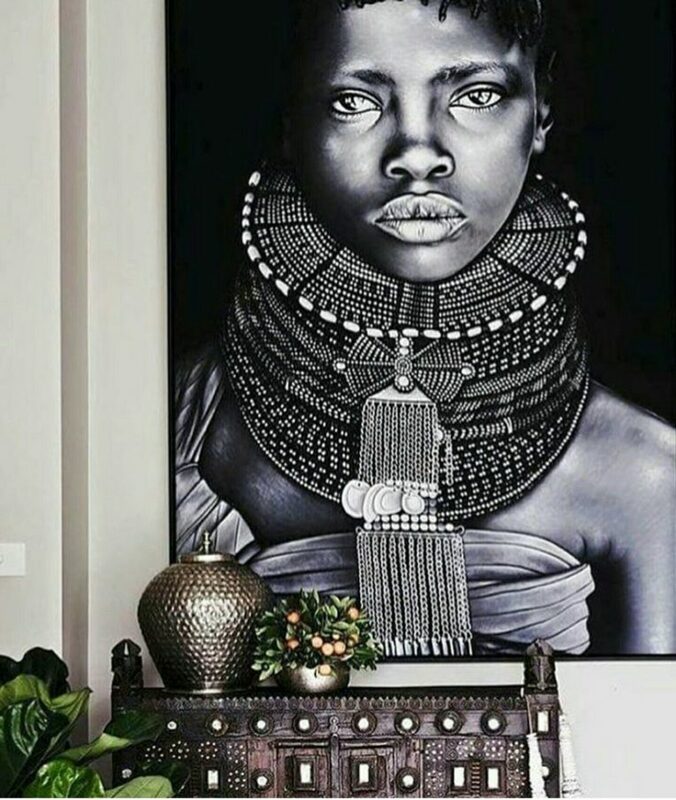 The tribal design has long been a source of fascination in the world of interiors, with inspiration coming from anywhere between the South American desert to the markets of Morocco. Intricately decorated brass or gold, loads of botanicals or cacti, everything tasseled and bejeweled with pops of colour on patterned rugs, cushions, wall hangings and curtains… the look is lavish, layered and luxurious. But this trend will tone down in 2019, thanks to the Scandinavian design and its clean, simple functional aesthetic. 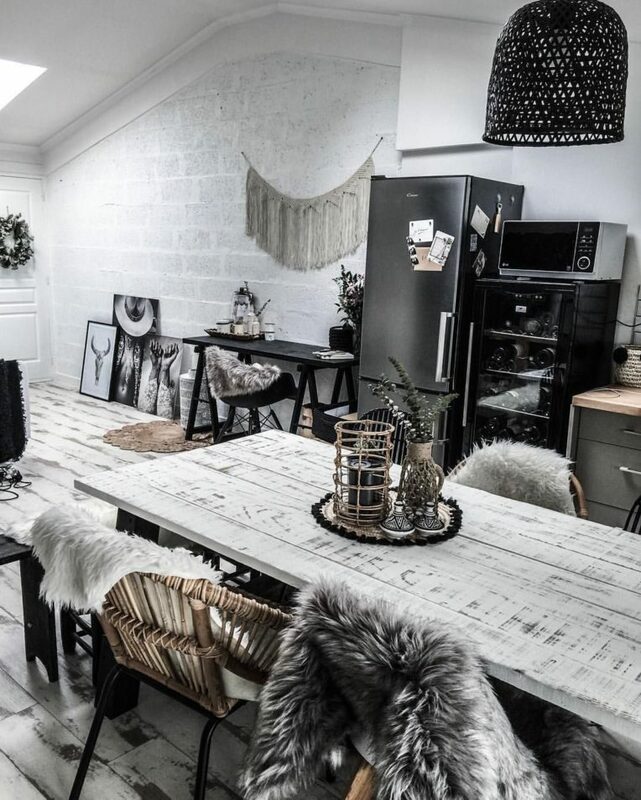 Called Scandi Tribe, this new look is built on a neutral base with ethnic or cultural elements made from natural materials layered with contrasting monochrome patterns. 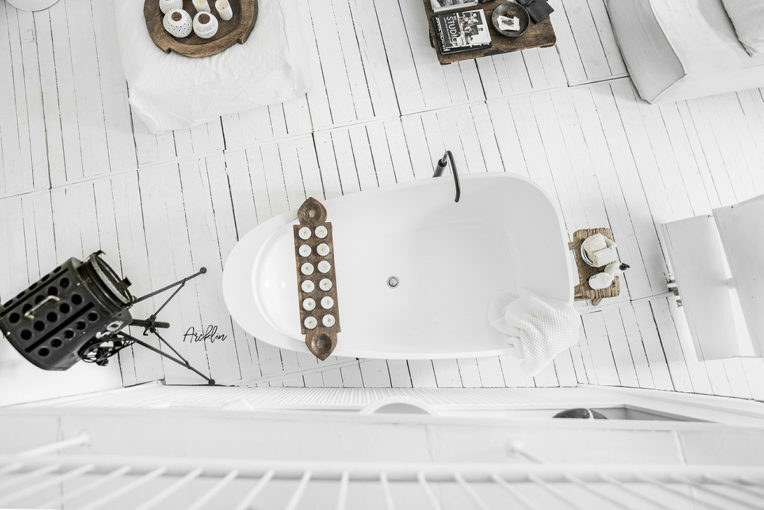 Here are some tips on how to add the Scandi Tribe style to your home. 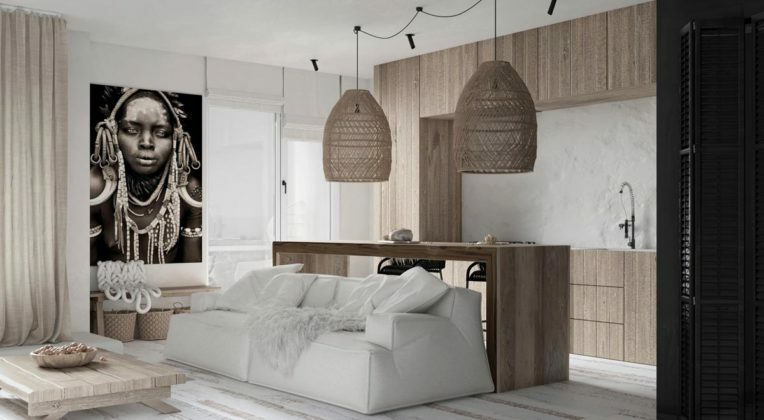 Choose light-coloured or painted white-wood floors to capture the authentic Scandinavian look. Be generous with patterned rugs to help break up the starkness. 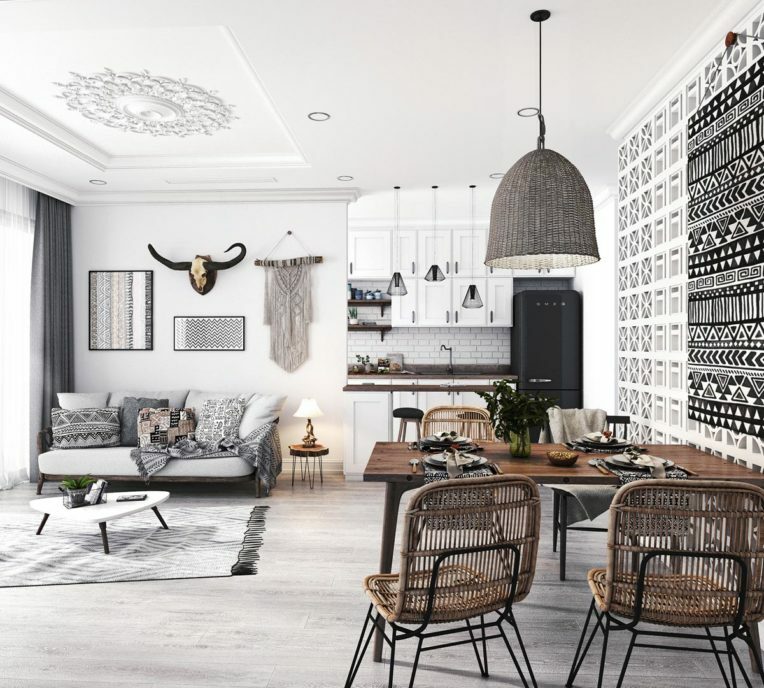 Forget colour – this scheme focuses on a cool monochrome treatment with tribal patterns and black and white geometrics. Each of the items of furniture should be made from natural elements, from roughened wood to bamboo, feathers, shells, rattan, cane and hessian. Fabrics and soft furnishings should follow suit, with cotton, linens and wool. Don’t panic! Although this look usually involves liberal use of hide, fur, bone and taxidermy, these days there are several faux options that capture the look without the sacrifice! 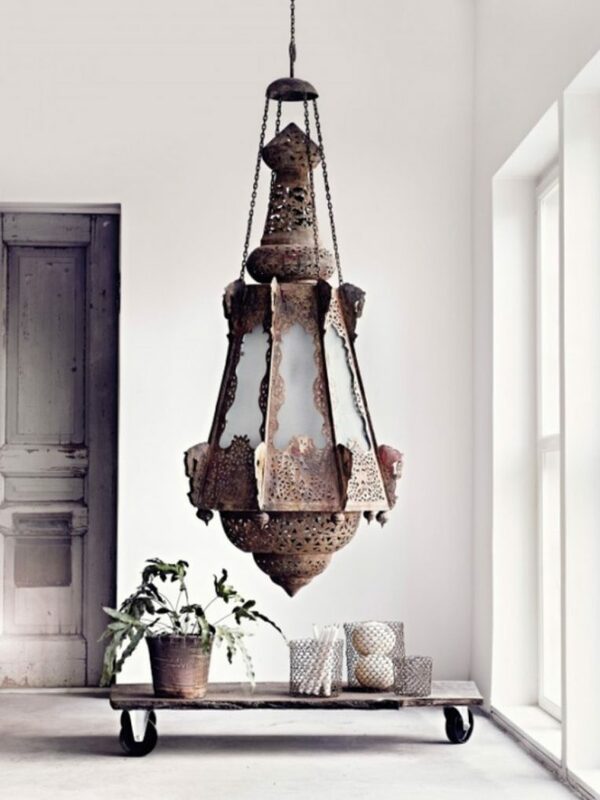 Make majestic ethnic items like masks, statues, musical instruments – even jewellery – dominant in the Scandi setting. Large handcrafted vessels create bold focal points. Anything slightly irregular, rough, featuring finger lines or tool marks adds a personal, commissioned aesthetic. 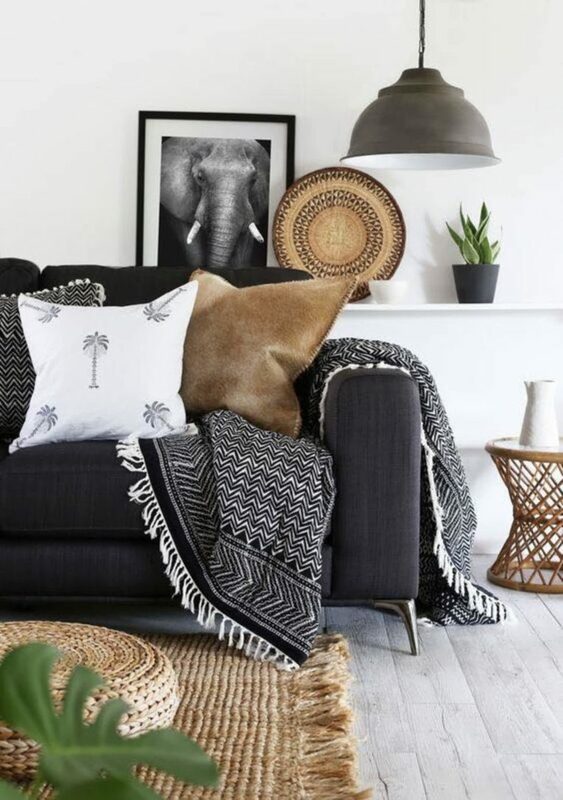 Furnishings aren’t the only thing to be monochrome – decorate your walls with large-scale photos in black and white of tribespeople or animals you might see on safari. Scale is important in this trend – everything needs to be large and in charge. Vases the size of giant planters, baskets you could fit a person in and trays the radius of a tree trunk… go big! 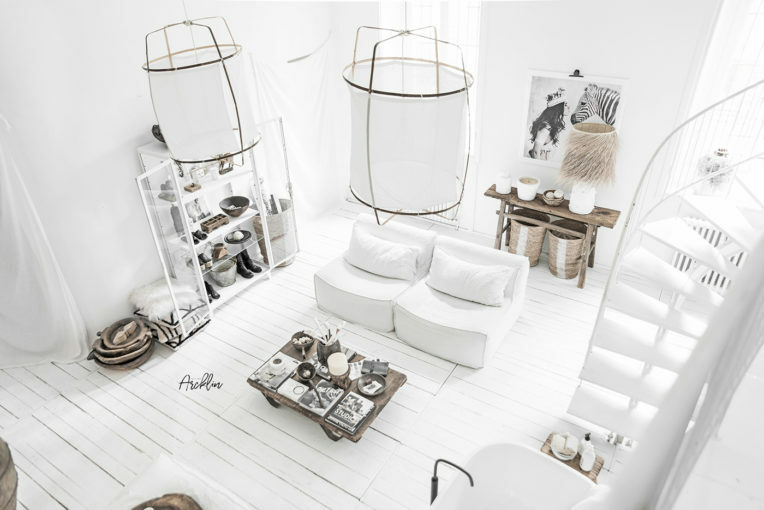 But in keeping with the Scandinavian theme of minimalism, choose just one or two supersized items. Like other super trends that have come and gone before, the trick with Scandi Tribe is to choose wisely. Only buy select pieces that you love, that fit with your particular decor style and can be swapped out when you move on to the next look. For more expert advice on design & trends or any other renovating projects, make sure you visit Canterbury’s longest running and No. 1 home building & renovating expo – the Canterbury Home Show, 12 – 14 October 2018 at Horncastle Arena, Addington, to source quality products and services from 140+ home-related businesses and get free expert advice from leading industry experts and suppliers. See www.canterburyhomeshow.co.nz for more info!